I was interested and pleased to see the emphasis on fostering New Hampshire’s entrepreneurial activities. We have long believed that the New Hampshire “Live Free” spirit is embodied in the state’s small business and entrepreneurial activities – and that self-employment, small business and entrepreneurship are New Hampshire’s most important generators of new jobs and economic growth. But I was dismayed to see – once again – another new initiative to take care of another “problem” that has been repeatedly addressed over the years. It is important to note that there are a great many resources in New Hampshire devoted to supporting self-employment, small business and entrepreneurial venture start-up and development. At BUZGate.org, there are 394 such programs listed – all available and all free – of which less than a dozen are promoted on the new website. 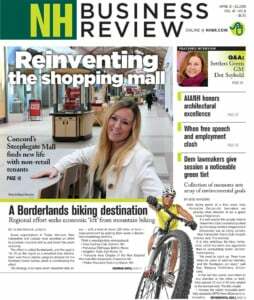 Of particular note, and most unfortunate in their omission, is the New Hampshire Small Business Development Center network that has been helping thousands of residents to start and grow their ventures for the past 30-plus years. And SCORE has been supporting New Hampshire small business for an even longer period. There are also significant business development resources available to help veterans (check out SBA VBOP, or contact the district office), women (Women’s Business Center – The Center for Women’s Business Advancement), folks with vocational disabilities and even youth. I noted as well, that while business training is offered by the new initiative, it is not available until next September. For those who need solid (and free) training more immediately, BUZGate.org offers an online, self-service, interactive training program that connects to a business mentor, and guides prospective venture initiators through a step-by-step venture development program. I laud the energy and effort represented by the new initiative, but believe that inclusive collaboration rather than siloed efforts will provide the greatest impact in supporting our vital small business resource here in New Hampshire.